As Nitesh Tiwari's wrestling biopic Dangal marches towards the Rs 200 crore mark at the box office, it has come into the limelight for a controversial reason - the inaccurate portrayal of wrestler Geeta Phogat's coach PR Sondhi in the film. Those who have seen the film must have noticed the villainous portrayal of Sondhi who has been named PR Kadam in the film and has been played by Marathi actor Girish Kulkarni. His character serves as the tough and egoistical coach to the Phogat sisters in the National Sports Academy, Patiala. 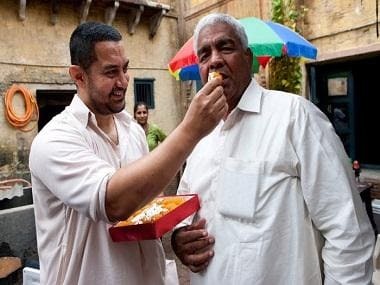 He is often seen getting irked when the father of the two wrestlers, Mahavir Phogat steals the spotlight from him while training Geeta and Babita. The evil portrayal of his character goes on to such an extent that he locks Mahavir inside a room minutes before Geeta's gold medal bout in the 55 Kg wrestling category at the Commonwealth Games 2010 in New Delhi. ABP Live reports that Sondhi has objected to the depiction of his character and has clarified that he keeps Mahavir in high regard. He denies that he locked Mahavir in a room and says that the media or officers would have come to know about the incident had he done so, given the tight security at the event. India Today reports that the producer and lead actor of the film, Aamir Khan, who plays Mahavir in the film, has clarified that the incident of him getting locked in the climax was fictionalised and was merely a tool to heighten the drama in the film. However, Sondhi shared disappointment in Khan and Tiwari by claiming that the creative liberty should not have been taken at the expense of his reputation. Sondhi also shared that Khan had met him in Ludhiana before the shoot of the film to discuss Geeta's progress during the training as part of the pre-production research. He adds that the actor should have informed him about the light in which Sondhi's character will be portrayed in the film so that he would be prepared for that. 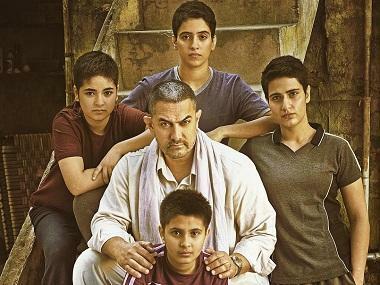 Aamir Khan's Dangal gets 'U' certificate from CBFC: Will it get tax exemption from government?